The Catholic Church has agreed to buy a controversial 8m statue of Pope John Paul II for €20,000 from a Morbihan town following a court ruling. As reported in October 2017, France’s top administrative court the Conseil d’Etat ruled that a cross had to be removed from the statue in Ploërmel as it breaks France's 1905 law of separation of Church and State. The rest of the statue, including an arch over the figure of the Pope, could remain in place, the court ruled. 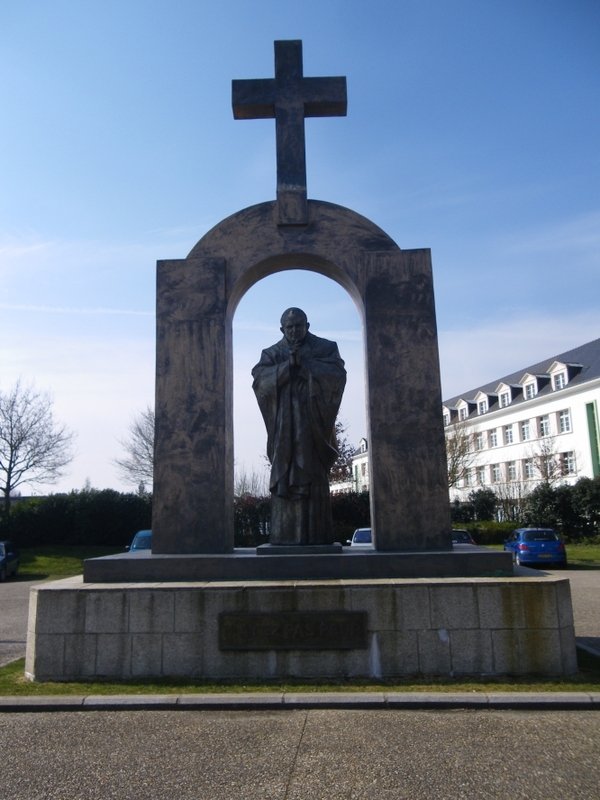 On Thursday, Ploërmel council agreed to sell the bronze monument, which has stood in a public carpark for 12 years after being donated to the town by Russian artist Zurab Tsereteli, to the diocese of Vannes. Once the sale has gone through, the statue will be moved a matter of metres, at the Church's expense, to the adjoining grounds of a Catholic private college, where it will remain visible to the public.